An inverted yield curve is the death of accommodative credit. If you’re a bank and short-term interest rates are higher than long-term interest rates, it simply makes no sense to borrow now to lend out money over the longer term. Which, as noted below, is pretty much what banking is. 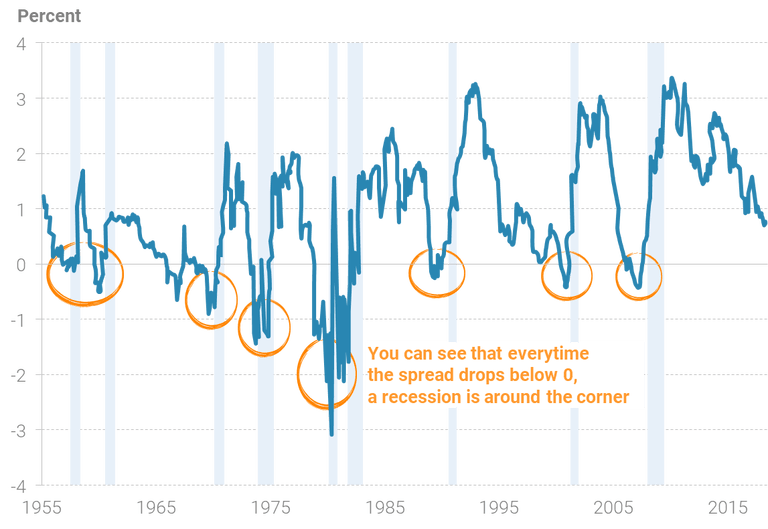 An inverted yield curve has correctly signaled the last nine recessions since World War 2 – except 1 in the 1960’s. That’s 9/10 times in 60 years. And right now, the yield curve is getting close to inverting again.